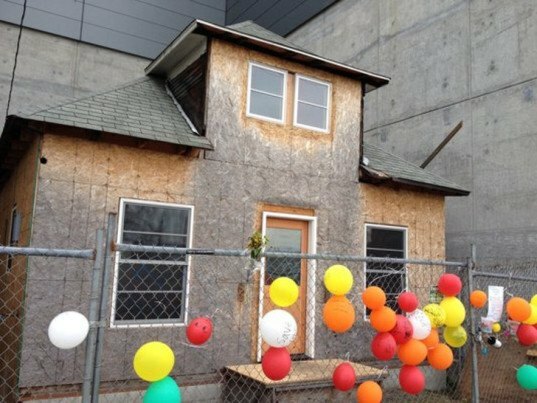 Back in April, an incredible little house in Seattle went up for auction. Now, Edith Macefield’s 600-square-foot Ballard bungalow may be destroyed, as the auction winners realize how costly it would be to bring the house back up to code. Macefield became the poster child of homeowners fighting corporate developers when she refused offers of up to $1 million, forcing the real estate development company to build a shopping mall around her tiny abode. Prior to the auction, the investment management company that owns the property toyed with plans to raze the house, but decided instead to make a last ditch effort to find a new buyer to restore it. 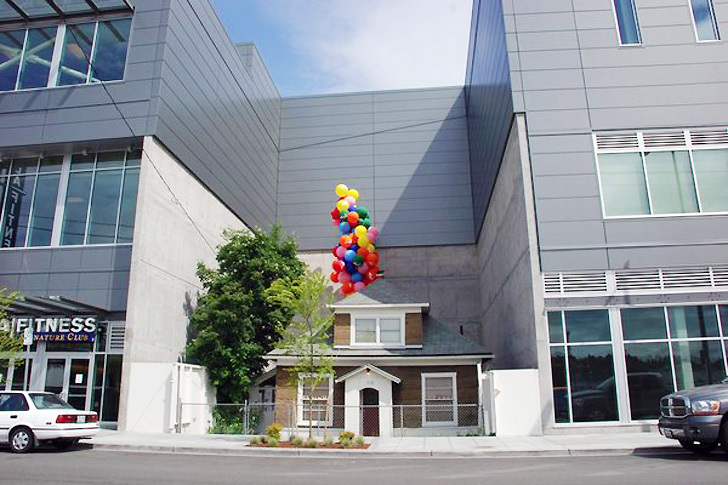 Edith Macefield became a bit of a celebrity after she refused to sell her home to developers. The commercial real estate developers managed to acquire all of the surrounding land and pushed forward with plans for a mall with a small alteration: the shopping center would surround Macefield’s property on three sides. This peculiar situation, along with the home’s architecture, are the reason many people believe Macefield’s little bungalow inspired the 2009 Disney film “UP“. Although the April auction was successful, the new buyers are backing out of the sale after realizing the immense cost of bringing the house back up to code. They had originally planned to turn the space into a coffee and pastry shop, since the area has been rezoned as commercial despite the home’s existence. The home has been protected over the years, but it has not been occupied since Macefield’s passing in 2008 at the age of 87. Now, at nearly 115 years old, the structure would require costly repairs to make it useable again. “Bringing new life to Edith Macefield’s house isn’t financially viable,” said Paul Thomas, the broker handling the sale. Thomas went on to say the current owner is interested in giving the house away – as-is and at no charge – to any individual or group who can haul the building away intact in the next 30 days. If no one is found to rescue to the house, a wrecking crew will be the next to visit.